The New York Times Bestselling author of the On Dublin Street series and PLAY ON returns to the world of the arts in this intense and emotional standalone romance about love, sacrifice, and surviving both. 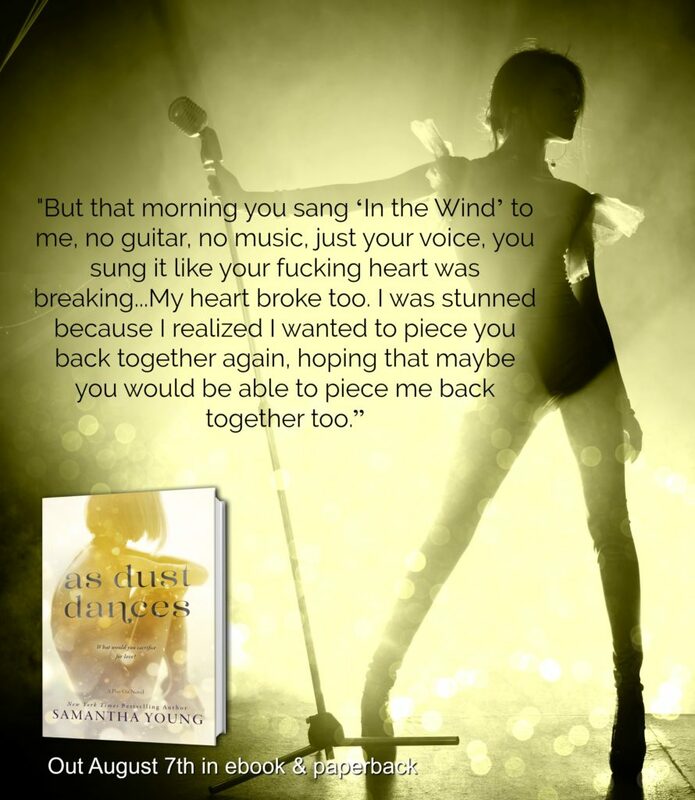 AS DUST DANCES is now available on all retailers! Grab your copy today! 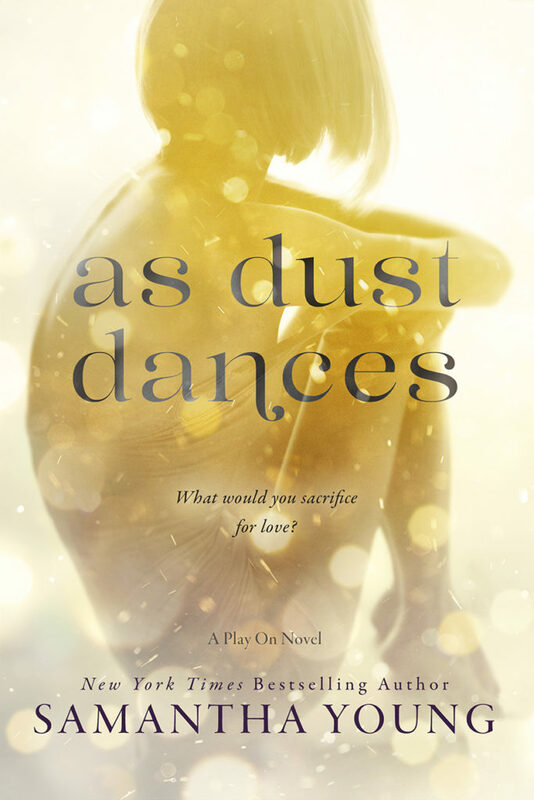 As Dust Dances is one of my favorite picks of the month—and I’m on day 1 of August, so that should tell you how much I enjoyed it. It’s an interesting story of fame and loss and grief and success. The story of Skylar, a former high priestess of pop charts now “living rough” by choice, was one that I hadn’t run into before. Her choices were a little naive and a lot understandable—I’m sure many people living a similar experience have felt the urge to disappear, though I can’t think of any who have done what she has. So, reading about her experiences on the street and her transition back into a more stable life of music and income and friends (and romance) held my attention. Her counterpart, Killian, was also very interesting. He was so hot and cold. So distant and moody and hard to read. It was only after getting to know him through his sister’s stories and his opening up during their writing sessions that he became a little more understandable. He always came off a little colder than I’m used to in a book boyfriend but I think his backstory really made his behavior true to life. Not only was their story—frienemies to lovers—interesting, the other plot points, Skylar’s old bandmates, Autumn, and the horrible uncle, also kept me glued to the story. I was happy, strangely, that the conflict wasn’t what I though it would be and that the resolution was perfectly imperfect and therefore made for Skylar and Killian. Once upon a time Skylar Finch was the lead singer of a hugely successful American pop-rock band. But fame made her miserable. When years of living a lie suddenly ended in tragedy, Skylar fell off the map. Eighteen months later she’s sleeping in a tent in a cemetery in Glasgow, making just enough money to eat by busking on the streets. She manages to avoid recognition, but not the attention of one of Glasgow’s ambitious A&R executives. Killian O’Dea works at Skyscraper Records, Scotland’s most successful record label. Raised by his uncle and owner of the label, Killian’s upbringing would have been devoid of affection entirely if it wasn’t for his loving sister. Killian is unflinchingly determined to bring the label more success than ever, and the young homeless woman who busks on Buchanan Street is going to help him do that. Her music speaks to him in a way he refuses to over-analyze. All he knows is that if it can touch his dark soul, it’ll set everyone else’s alight. 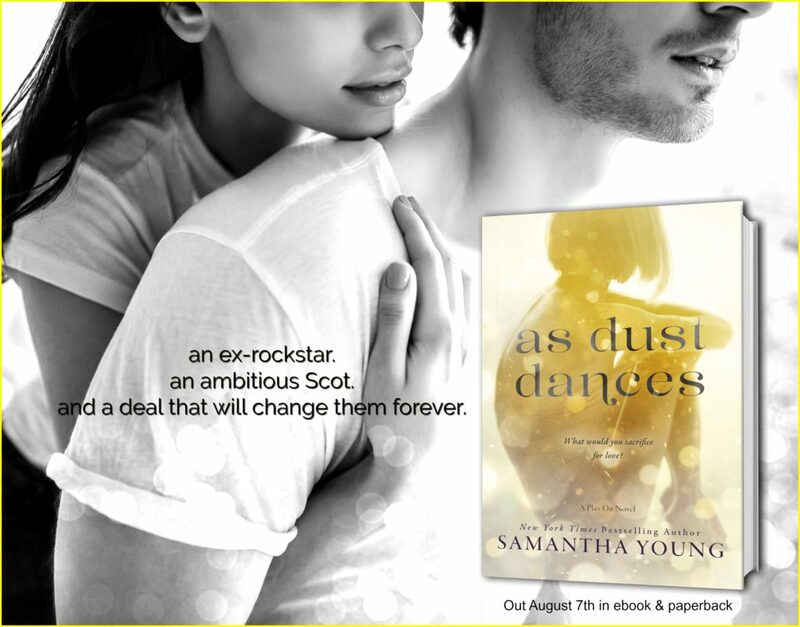 About Samantha Young: Samantha Young is the New York Times, USA Today and Wall Street Journal bestselling author of adult contemporary romances, including the On Dublin Street series and Hero, as well as the New Adult duology Into the Deep and Out of the Shallows. Every Little Thing, the second book in her new Hart’s Boardwalk series, will be published by Berkley in March 2017. 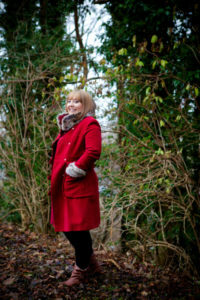 Before turning to contemporary fiction, she wrote several young adult paranormal and fantasy series, including the amazon bestselling Tale of Lunarmorte trilogy. Samantha’s debut YA contemporary novel The Impossible Vastness of Us will be published by Harlequin TEEN in ebook& hardback June 2017 Samantha has been nominated for the Goodreads Choice Award 2012 for Best Author and Best Romance for On Dublin Street, Best Romance 2014 for Before Jamaica Lane, and Best Romance 2015 for Hero. On Dublin Street, a #1 bestseller in Germany, was the Bronze Award Winner in the LeserPreis German Readers Choice Awards for Best Romance 2013, Before Jamaica Lane the Gold Medal Winner for the LeserPreis German Readers Choice Awards for Best Romance 2014 and Echoes of Scotland Street the Bronze Medal Winner for the LeserPreis German Readers Choice Awards for Best Romance 2015. Samantha is currently published in 30 countries and is a #1 international bestselling author.